The Team at Wavegarden Cove invited a few families to their facility and gave them a day that they’ll never forget. Wavegarden is doing more than showing off incredible surfing and beautiful waves. As a way to give back to the community, they set up “Waves for Everyone”- a family surf session at the Basque Country R&D demo center. Families with varying levels of experience were invited to surf and have fun at the park. The event was a good example of how ideal these facilities are for kids and beginners. In the morning the parents got barreled and linked turns out the back. After that, they turned the waves down a few notches for the kids and got everyone into some good ones. The stoke from the kids as some of them paddled into their first waves ever was noticeable. The kids quickly went from total beginners to trimming down the line confidently – something that normally takes months in the ocean. This looked like a day that no kid would forget. Also, it gave backing to the idea that teaching ocean awareness and getting people acclimated to waves using this environment is possible. like learning to swim in a shallow pool, the Cove provides a predictable atmosphere to learn about currents, conditions, and how to deal with powerful swells. The learning curve is shortened dramatically when learning in the pool. 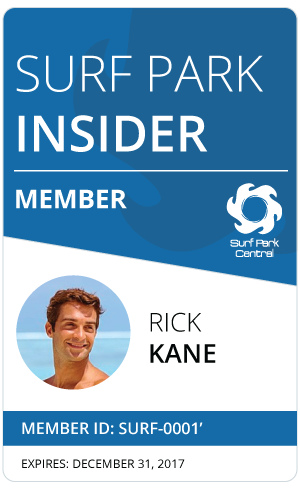 People can master the basics of surfing in one session and learn how to read basic ocean conditions. Reaching a knowledge and skill level that would take months in the ocean with the unpredictable winds, currents, and swells. It’s a major stepping stone, allowing learners to quickly break through the “training wheels” phase of surfing. Giving them a sense of satisfaction that is key to keeping them motivated and wanting more. 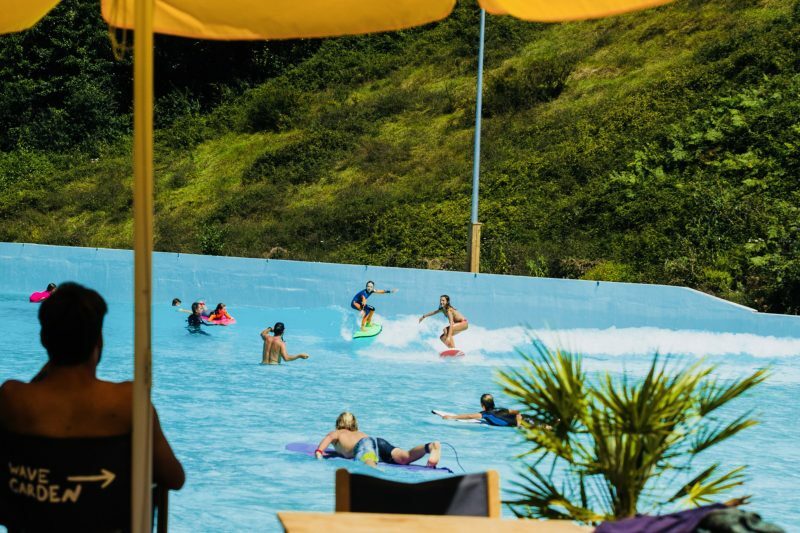 Wavegarden was founded with a mission to share the exhilarating sensation of surfing perfect waves with everyone in the world, regardless of ability or geographical location. The machine pumps out 40 different wave styles ranging from a small ripple wave to a seven foot plus face. Wave size and type can be altered at the touch of a button in order to accommodate any surfer. Soon, larger commercial facilities will be open around the world with multiple surfing areas, making it possible for beginners and pros to surf simultaneously. With safety in mind, the team at Wavegarden designed the beginner areas with smooth, soft grounding; and water levels that don’t exceed past the waist. There are no moving objects through the water and the machine can be shut down instantly. Moreover, the Cove provides a place for community events such as this one, as well as other educational programs like swimming, life-saving techniques etc.